Designing your home is both exciting and challenging especially as there are several rooms that you can put your personal stamp on such as your living room, bathroom, kitchen, and bedrooms just to name a few. The good news is that there is no shortage of living room ideas or bathroom décor ideas as there are plenty of websites and magazines that you can use to find the perfect house decorating theme to use. After all, both these rooms as well as the kitchen get more foot traffic in the house compared to others. But what about the master bedroom? 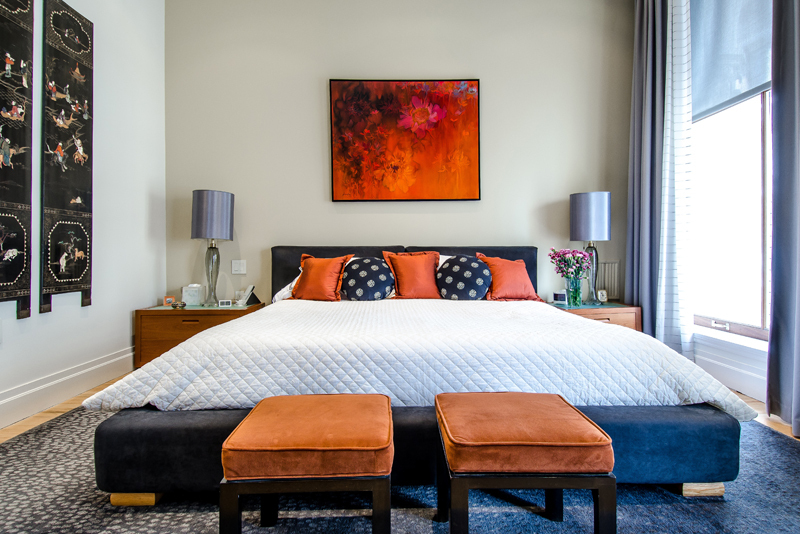 You’re probably wondering how to design a master bedroom in such a way that it will be a calming and soothing bedroom that will invoke a good night’s sleep. If you are looking for relaxing bedroom design ideas, here are a few tips that you will most likely pick up. When it comes to relaxing bedroom design ideas, it is always a good idea to look for relaxing bedroom colors. 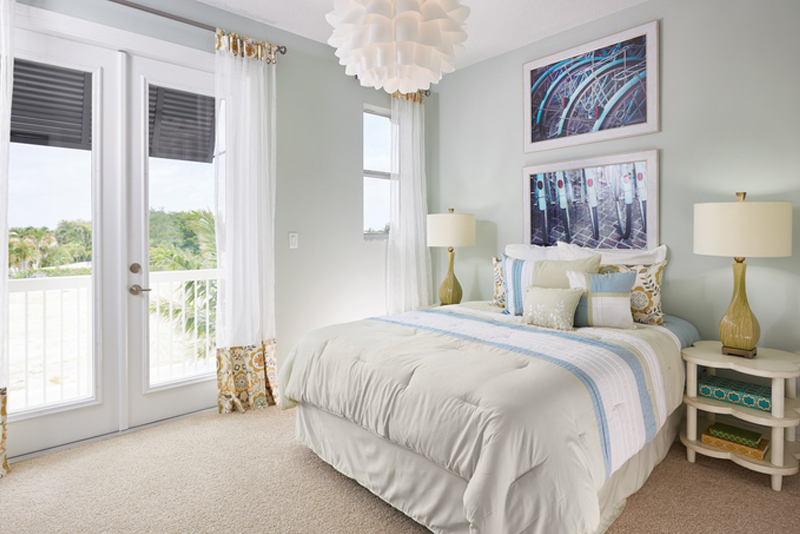 Calming colors for the bedroom include shades of blue, green, lavender, or gray even. 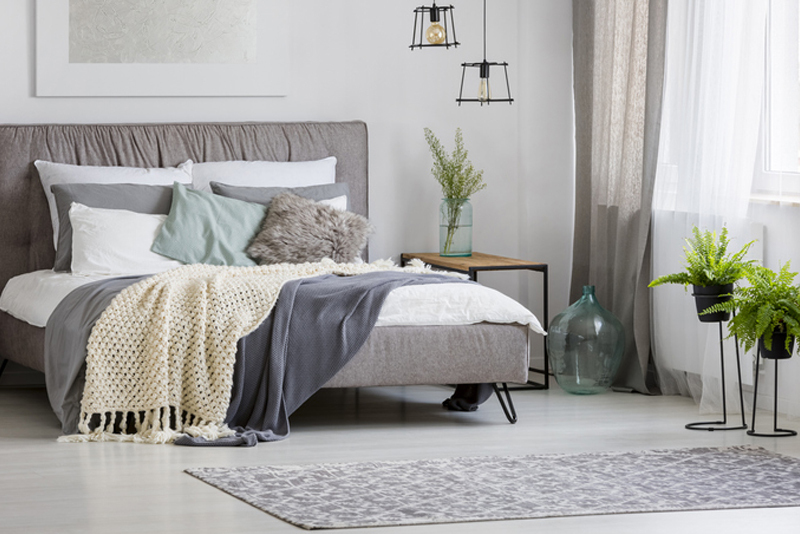 Soothing bedroom colors will not only promote calming and soothing sensation as you enter your room, but it will also make your bedroom walls a canvas to decorate with furnishings. 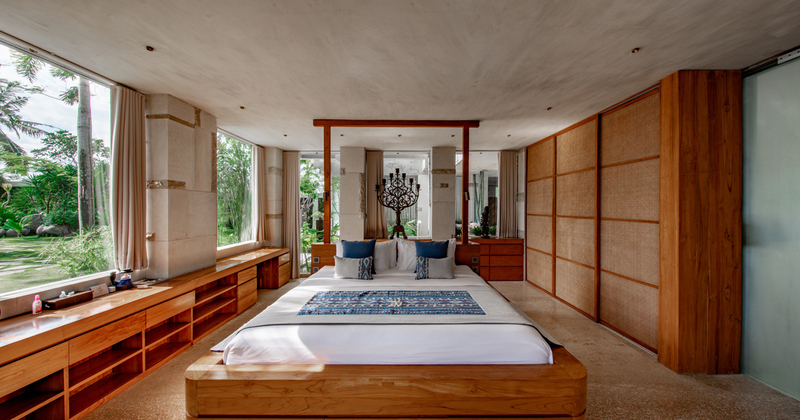 If you are wondering how to design a master bedroom so your interior will be conducive for sleep, you might want to follow one popular Feng Shui tips and that is to clear the clutter in your space. Your space will look more inviting and calming when there are no cluttered items to see. A good sleep can only be achieved if you invest on the right type of bed. Indulge in your beddings too as well as pillows that will make you want to rest there at night. When choosing your bedding, consider the paint colors in your room so you can mix and match them. Another tip that you should consider on relaxing bedroom ideas is to choose adjustable lighting systems. Soft and soothing lights are recommended for your nightstand because you can control or adjust the amount of light that you are getting. With regards to wall décor, a nautical décor does evoke a sense of peace. When looking for a wall art to hang in your bedroom, make sure that it is calm and serene. After all, this is what you will be looking at before you go to sleep. Wall hanging that features a coastal area, or a lake, even a forest, whichever you prefer, may help you feel calm at the end of the day. How to design a master bedroom that will help me feel relaxed? You can also consider the use of soft textures when looking at calming room ideas. One reason behind this is that the soft textures of fabrics are soothing to the touch, especially when you lie down on them. Add more pillows to make your bed a place where you can sink into to sleep. Just so you know, it’s not just silk, satin, and cotton that you can use in your bedroom, but suedes and terry cloths too. If you’ve been looking at décor ideas Pinterest, you’ve probably seen some décor ideas that revolve around your privacy. 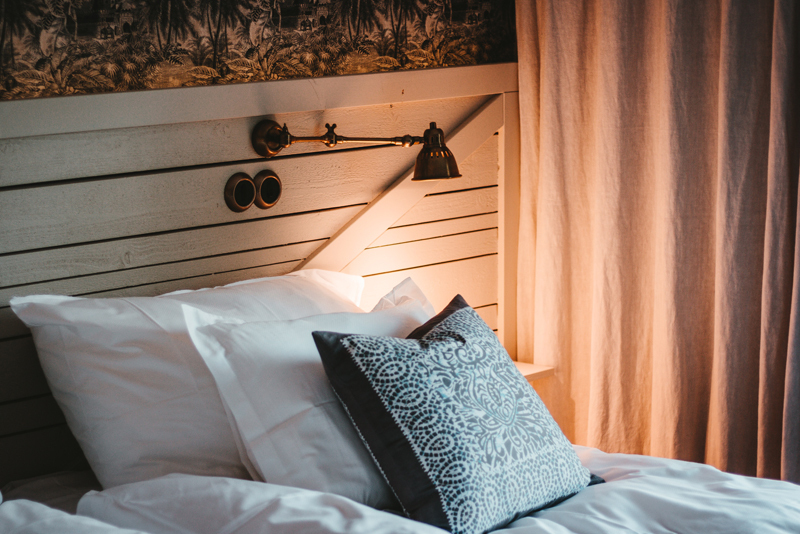 Well, adding curtains is all well and good, but installing thicker curtains or blackout curtains can help diminish the amount of light that is penetrating your windows at night. This means that your sleep won’t be bothered by stray light that illuminates your room. Another plus to using this type of curtains is that it will be difficult to look inside your bedroom because of it. 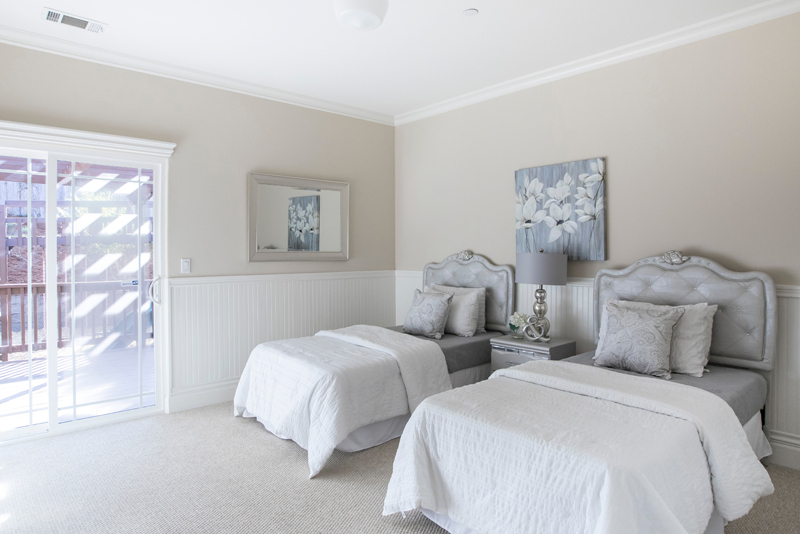 Do you want to know how to decorate a master bedroom? There are literally hundreds of possible designs for you to choose from nowadays that there is no need to worry about it all. The tips that were mentioned here should be worth taking into consideration, if you are planning on revamping your bedroom look.